There is much speculation (imagine that!) about what position the Titans would look at in the first round of the NFL draft. Much attention has been placed on the offensive line and for good reason as that position ended the year as a hot mess. 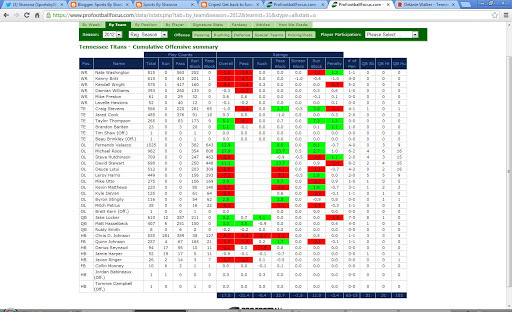 The interior line has needed improvement really since the Titans let Kevin Mawae walk in 2009. 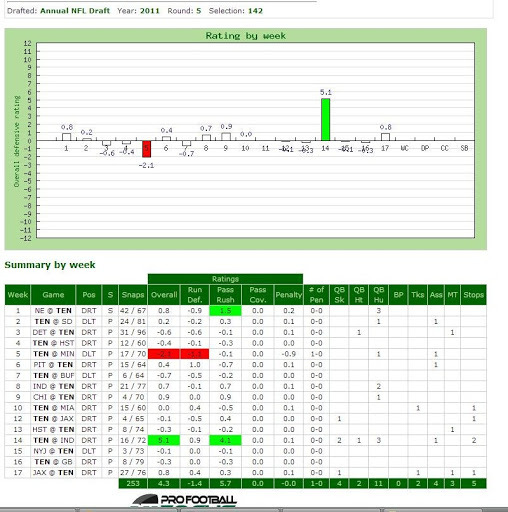 The Titans signing of Andy Levitre doesn’t end the discussion either as the right side still needs work. The Titans have spent the offseason adding players at a variety of positions beyond offensive line. The addition of Sammie Lee Hill initially led me to move the defensive tackle position down the list, but after some thought I’m not sure it is out of the question. Where I Take A Look at Sammie Lee Hill. Why might you ask? Let’s take a look. 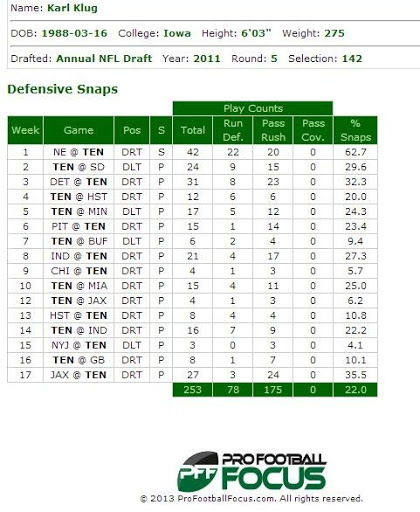 To say that the Titans defense struggled in 2012 would be an understatement. While defensive tackle Sen’Derrick Marks is still a free agent, the Titans did sign Sammie Lee Hill. They seem to have a full stable with Jurrell Casey, Hill, second year man Mike Martin, Karl Klug and DaJohn Harris. Zach Clayton is also still a member of the practice squad. Given the roster, why would the Titans draft a defensive tackle? I think it all depends on their plans for Karl Klug. The Titans seem intent on getting bigger along the defensive line and I wonder if Klug fits within their plans. At 6′ 3″ and 275 he doesn’t appear to fit the profile the Titans are looking at for the position. So far the Titans have not made a move to switch Klug to defensive end and whether they might consider that option remains to be seen. I am traditionally not a fan of moves such as this but Klug only played 22% of all defensive snaps last season and that was primarily on pass rushing downs. The decision to sign DE Ropati Pitoitua who is 6′ 8″ and 315 pounds however may mean they want even more bulk at that position. 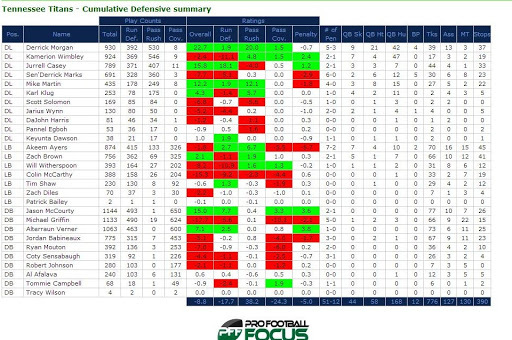 It certainly seems Klug may be the “odd man out” on the Titans defensive line and therefore drafting a defensive tackle might not be out of the question.